The Georgetown Inn presents 96 elegant, boutique-style rooms and suites, each with a luxurious and sophisticated touch. 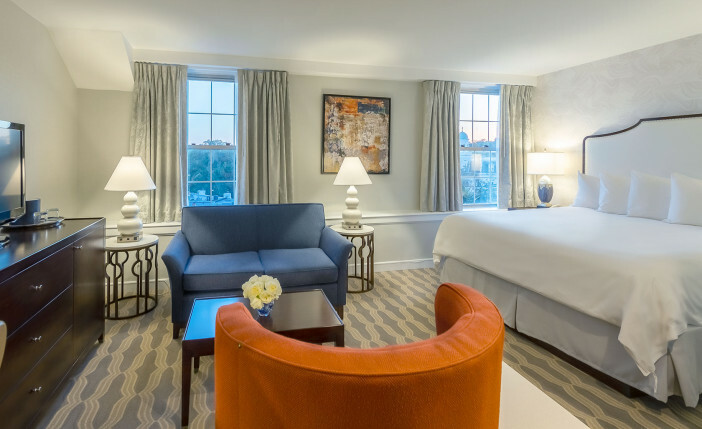 Experience newly renovated décor, upscale furnishings, and modern lifestyle amenities. These comforts and conveniences compliment our longstanding tradition of hospitality. For business travelers, we offer a 24-hour business center where you can enjoy free WiFi. Days are fulfilling with conveniences like our 24-hour cardio room, complimentary access to Washington Sports Club M Street location, and daily valet parking. Our Senate Rooms measure 250 square feet and feature a king bed with plush pillows, premium linens, and a thick duvet piled upon a pillow-top mattress. A spacious work desk, new high definition 37" flat panel TV with premium channels, individual climate control, Keurig coffee maker, fluffy bathrobe, personal bath and beauty amenities complete the relaxing experience. Our 18 Executive Rooms were designed for ultimate comfort. Enjoy the varying views this luxurious retreat measuring 375 square feet offer. 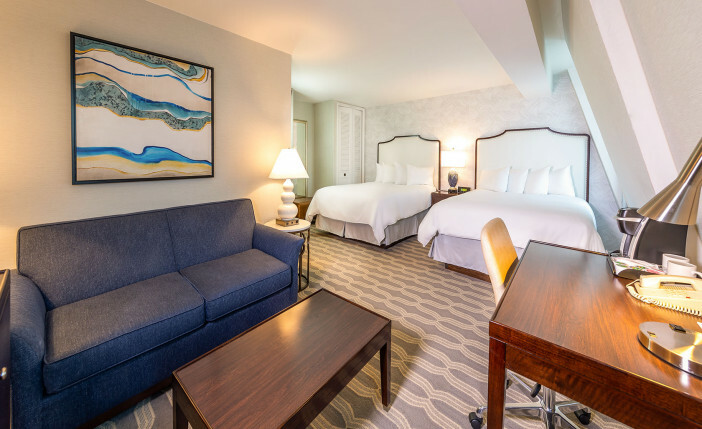 Immerse yourself in a well-furnished room with a premium pillow-top mattress, spacious work desk, 37" high definition TV, individual climate control, Keurig coffee maker, fluffy bathrobe, and personal bath and beauty amenities. 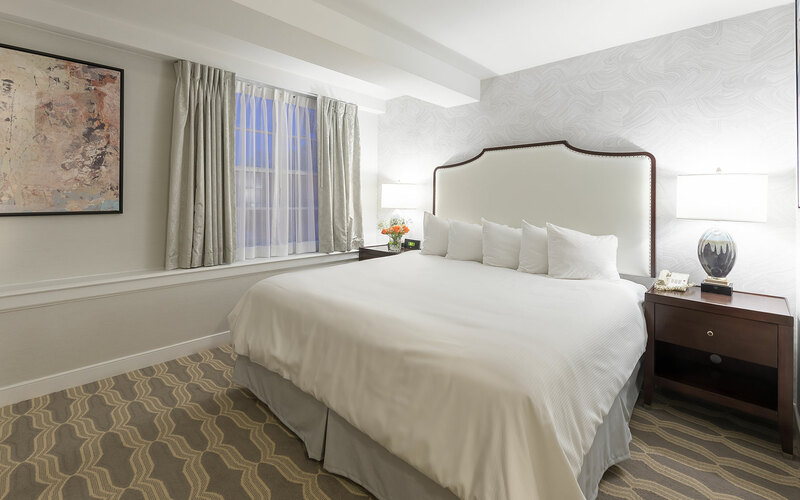 Experience elegance in our 22 Georgetown Rooms. Designed in 375 square feet of space, these rooms feature abundant natural light and a captivating city view. Enjoy ample workspace along with premium beddings, a pillow top mattress, 37" TV, individual climate control, a Keurig coffee maker, fluffy bathrobe, and personal bath and beauty amenities. 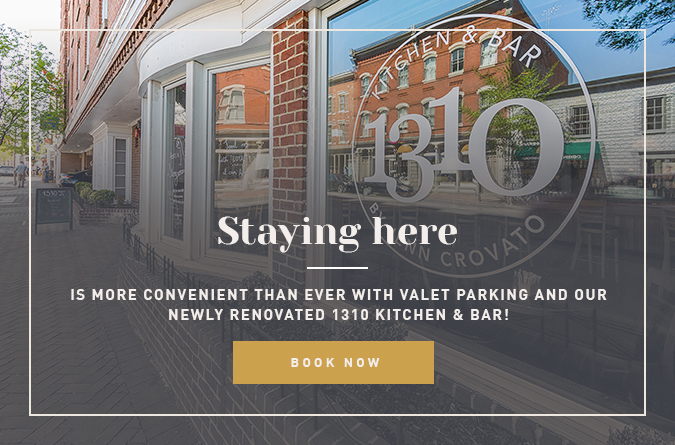 With 10 luxurious, two-room suites, The Georgetown Inn offers the ideal accommodations for families on a short or extended stay. 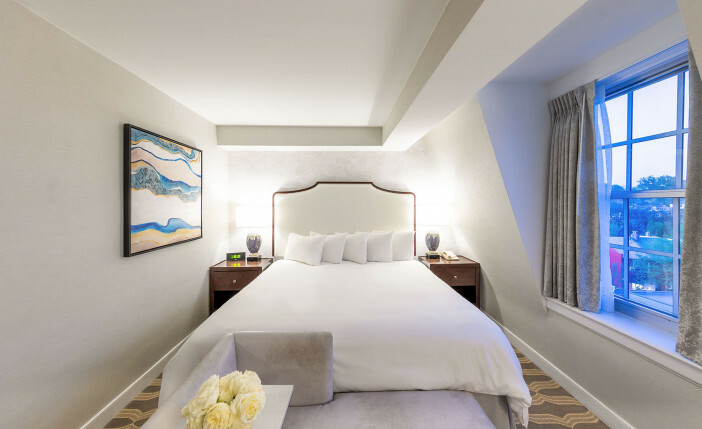 Measuring 575 square feet, these suites feature a private master bedroom, spacious entertainment area, Keurig coffee maker, fluffy bathrobe, a refrigerator, generous work area, multiple charging stations, and a large bathroom with plush towels and premium bath products. 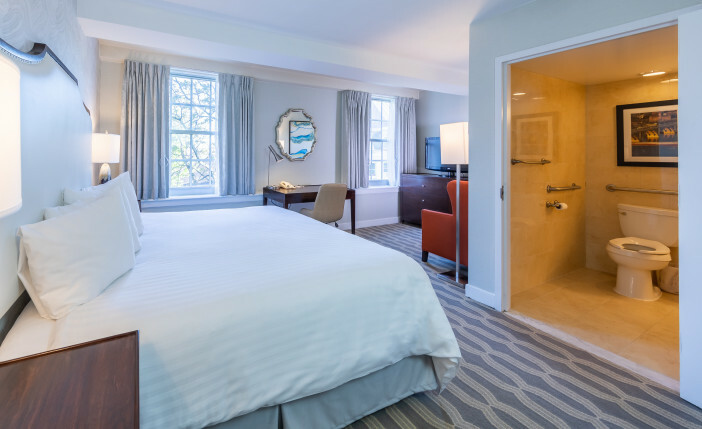 Accessible room with one King bed located in the upper floors of the Inn, all in the heart of Historic Georgetown. This sun-filled 250 sq ft room features one King bed with plush pillows, soft sheeting and thick duvet piled upon a pillow top mattress. 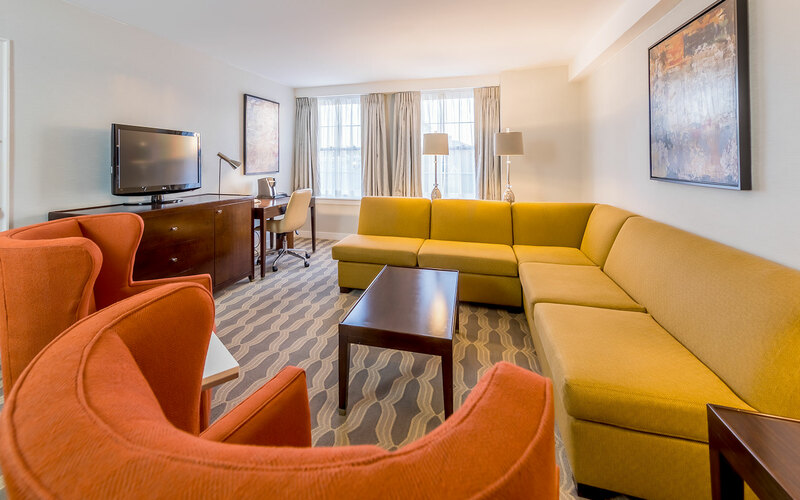 Complimentary WiFi, business center, cardio room, turn-down service and shoe-shine.